We have worked hard all month to make sure that all of our wonderful customers have a very happy and monogrammed Christmas! We will be spending today with our families and are so thankful for each of you! 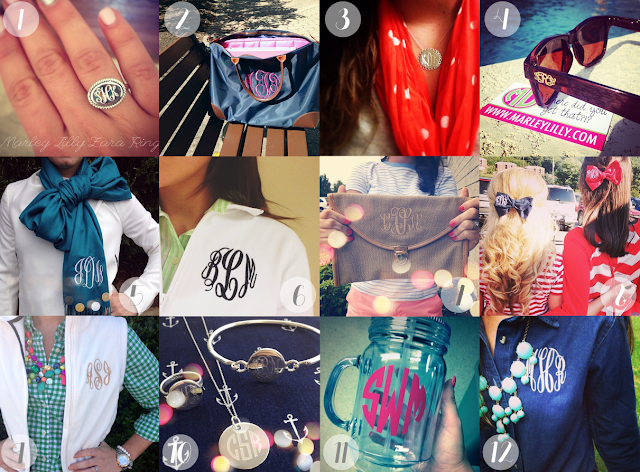 Be sure to share your photos with using the hashtag #MonogrammedChristmas! We will share them on our social media accounts all day! Since we know a lot of you received gift cards to our website for the holidays, we wanted to share with you a few of our favorite items! All of these items are under $55! If you are like me - then Christmas money literally BURNS a hole in your pocket! Why not head over to Marleylilly.com and purchase one of these amazing monogrammed gifts? We are also running a 24-hour coupon right now! 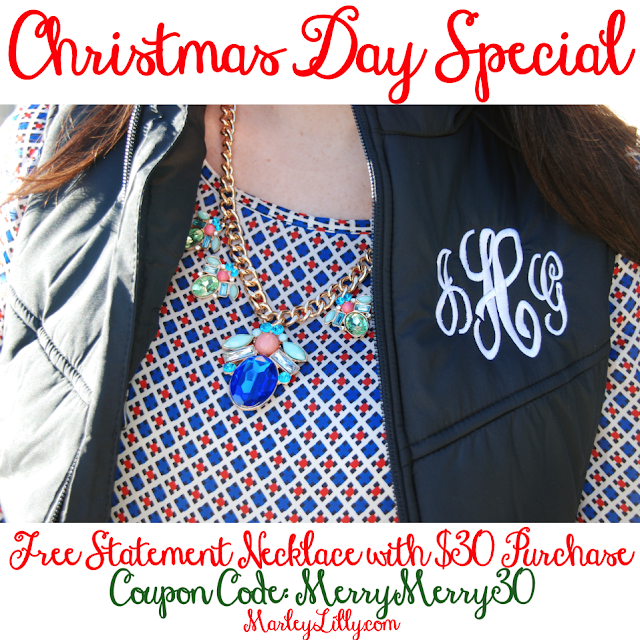 Spend $30 on Christmas Day and receive a FREE statement necklace! Enter the coupon code MERRYMERRY30 at checkout on Marleylilly.com to receive this amazing free gift! Coupon code expires on December 25, 2013, at Midnight EST. What's on your after Christmas wish list this year? 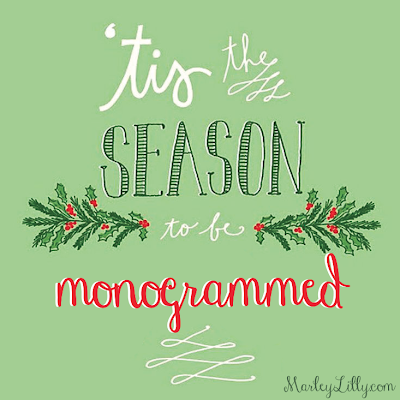 Merry Christmas to everyone at Marley Lilly!! Organizing Your Garage…During the Holiday Season!